Social Diversity describes the broad societal influences surrounding our community such as race, culture, religion, age, gender and personal circumstance. Social diversity should be a ‘no-brainer’ for Lions Clubs; Lions exists in 206 countries around the world, in all walks of life, and across gender and social boundaries. One of the great benefits for Lions members is that we can travel within our own country, and worldwide, and meet others who share our ethic of community service, but whose lives and lifestyles are richly different to our own. Of course, our fundamental unit of organisation is ‘the club’, and diversity can be an issue within clubs. In my view, this is because the positive aspects of club culture; security, familiarity, predictability, can militate against diversity and the risks it brings. 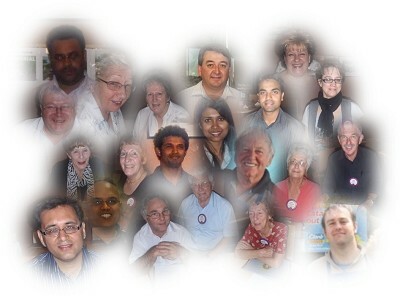 The Lions Club of Charles Sturt has identified that the membership of the club and the demographic of the broader Charles Sturt community has changed significantly in recent years with substantial shifts in the diversity of race, culture, religion and age within a relatively short period. The appointment of a Social Diversity Director to the Board of the Lions Club of Charles Sturt aims to recognise these changes by encouraging, stimulating and providing an inclusive environment within the club while also identifying key opportunities in the broader Charles Sturt community where the membership can promote and participate in social inclusion projects. Tim would be happy to speak to other clubs interested in incorporating a ‘Social Diversity’ portfolio on their Club Boards.